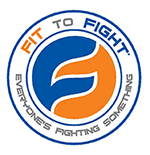 Fit to Fight®’s From The Ground Up™ is a groundfighting program designed to tackle the omnipresent self-protection dilemma of ending up on the ground during an altercation. It prioritizes the tools realistically required to get up from the ground during an affray when your attacker seeks to hold you there. From The Ground Up™ is a three-tiered program that bridges the gap between being told it is imperative “to get back up” and how to actually accomplish that in real time. Fit to Fight® From The Ground Up™…where theory comes to die.